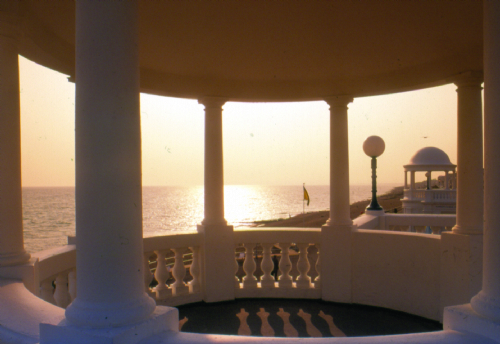 A grand beach-fronted family home with sweeping views to the sea. Perfect for spending time away from the rest of the world. A young couple regularly holidayed in Norman's Bay, staying in an old fisherman's cottage. As they walked on the beach they would dream about the possibility of owning the run down local shop, cafe and hotel and how it could be transformed into a beautiful home, with a little care and attention. Over the years, the building, now ravaged by the sea air, with its advertising signs fading and the garden overgrown, always held a place in the couple's hearts and memories. Notes through the door achieved nothing, until one day decades later, the couple saw a note in the paper that the property was going to auction. Delaying a trip to Cuba, the husband was 'forced' to stay behind, attend the auction and to join his wife later with the good news..... which, of course, he did. You can imagine the love and care that has been put into the restoration of Sunshine and now it is available for others to enjoy when the family are not using it. This Sussex holiday cottage is situated on Norman's Bay, a quiet stretch of shingle beach between Bexhill and Pevensey. Miles of coastline as far as the eye can see with none of the hustle and bustle normally associated with such a wonderful Sussex seaside location. This charming self-catering holiday house in Sussex is tucked away at the end of a single track road and has a lovely light and airy feel with serene paint colours, opulent wooden floors with underfloor heating downstairs and huge windows to the front and rear of the house. The owner's main home in Hong Kong is an obvious influence with the wonderful choice of original artwork and fabrics from the country. Sunshine has been converted from the local shop and hotel to offer a very traditional style of house, with all the bedrooms being upstairs leading off a wide main hallway. As the house has two master bedrooms, both with en-suites, it would be great for an extended family or a group of friends. For families with young children the enclosed courtyard is perfect for them to play safely while you keep an eye on them. The sitting room has comfortable sofas and chairs grouped around the fireplace, making this ideal for winter or summer breaks - a really cosy area in the depths of winter after a bracing walk on the Sussex beach! In the summer with all the doors open, this luxury holiday cottage has a charm all of its own in this wonderfully unspoilt landscape in East Sussex. Sunshine is sure to please the most discerning family looking to spend quality time away from the rest of the world. All in all, this self catering holiday cottage is a real gem of a location in Sussex, where time stands still and memories are made - you can't ask for more! Product : Wow - what an amazing house, it was absolutely perfect. We had such a lovely weekend and there was so much space that there was always somewhere to disappear to if you needed a quiet 5 minutes. Beautifully looked after and really homely. We didn't want to leave. Thank you for such a lovely review, please you had a great time. Service rating : The House was beautiful. The welcome groceries were appreciated. A lovely house in a great position, we had a really good short break in Sunshine house. What a fabulous library, I read 2 books in four days. For keen cooks there was everything you could wish for in the way of dishes, pans and equipment. Thank you for your positive feedback. We are very happy that you enjoyed your stay with us. We hope to see you again soon! When first booked 'Sunshine" I wanted advice on Catering, sent an email. No reply. Two months later my daughter tried, no reply. For the special event we ended up cooking ourselves. I contacted Harriet the week before we were due to go regarding the need for two cots. She never replied and I sent two follow up emails, nothing in return. We took two travel cots ourselves but they take up room in already crowded cars. Lack of acknowledgment or information was very frustrating. Mulberry Cottages has beautiful properties but they do not follow up with any kind of service once you have paid. UnfortunateIy I would not feel confident recommending them. The cleaning was adequate, very dirty windows all round, dirty cooking trays left in the oven but the house and location was so perfect for our requirements we overlooked that. Thank you for your feedback. We take our level of service very seriously and are disappointed to see that we didn't meet exception in this instance. We have taken a look at this and the breakdown in communication from us should have never occurred. We will pass your comments in regards to the level of cleanliness at the property onto the owner. Mulberry Cottages prides itself on the high level of service we aim to provide but in this instance we let you down. We will be putting measure into place to ensure this is not repeated. Service rating : They were very understanding when I explained my unusual format for my rental period. It was explained that they would phone the owner and get back to me. It was a very quick, positive and efficient response. The description of the property was good and we were delighted with the accommodation. Product : A comfortable well appointed house. Fantastic position ideal for get away weekend. Close to train station to town and walks along the beach. Product : Beautiful property, well presented with a lovely decor. We agree Sunshine is a beautiful property, perfect for a peaceful coastal holiday, away from the bustle of some seaside areas. We are pleased you enjoyed Sunshine, due to its close proximity to the sea it can be windy at times but we hope you were still able to enjoy your holiday. "We returned! The exquisite stylish surroundings of the house provided us with the perfect setting, great memories. Thank you once again"
"Crisp mornings in a lovely place the house was great. A big thank you from us." "A fabulous house in a fab location, what more could one want. Stunning views we had a great time. Thank you very much." "Had a great time, lovely house and location. Fab time with fab friends. Thanks." "Here to celebrate a birthday and Sunshine was the perfect place to do this. The Children loved the garden as well, we hope to come back. Thank you for a great time." "What a beautiful house, we had a lovely stay. Thank you"
"This house is utterly amazing. A wonderful party house or for large family gatherings, so perfect for us as we were attending a family wedding." "Absolutely amazing house, high quality throughout but with a feeling of warmth and homeliness that set the tone for a relaxed holiday." "Lovely house, very well-equipped and spotlessly clean. Excellent contained garden for children and 30 seconds from the (shingle) beach. Highly recommended." "A beautiful house in a lovely location. It was sparkling clean, tastefully decorated and very well equipped - perfect for our family gathering." "A spacious, welcoming and truly characterful home. Whether it be a solitary, peaceful read in a comfortable chair or a big, social dinner - Sunshine performs both tasks admirably- singly or both at once!" "Beautiful house; cosy yet spacious. Enjoyed walks on the beach and to the pub and celebratory meal around the kitchen table. Perfect for all the family - from 5 month old Frank to 60 year old Grandpa. A perfect venue for a 30th and 60th birthday weekend." "Sunshine is a fantastic holiday home. We had a wonderful time with our family. Many thanks." "Some houses just feel special as soon as you walk into them and Sunshine feels like the kind of place you want to stay forever!! I've had the best birthday ever and thank you Sunshine for being part of it and contributing to a truly beautiful weekend." "Have just had the most fabulous weekend in this cottage with family and friends. The accommodation is lovely, warm, peaceful and so spacious. Everything is provided including flowers on your arrival. Thanks very much !!" "This cottage was so snug we hardly wanted to leave but we braved it and had a great weekend walking on the blustery Beachy Head and lunching in East Dean's Tiger Inn. 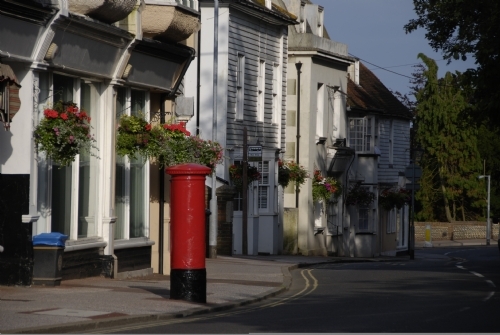 We loved the surrounding villages, quaint shops and the beautiful South Downs. Everything you could think of had been provided and we all slept very well as it was such a secluded place. We were inspired by the tasteful decor and the sheer luxury of the bathrooms. Shame about the weather but for a spring break it didn't matter as we all were thoroughly relaxed when we left. 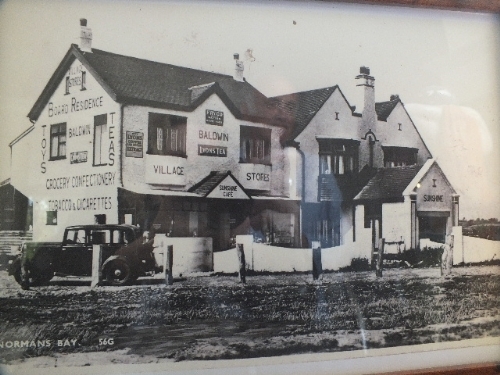 Thank you Mulberry"
The nearest shops are in Little Common where there is a very good delicatessen or Pevensey Bay and the local pub The Star Inn, which was a smugglers' haunt in the old days, is just a few minutes' walk inland along a footpath. Kitchen with range cooker, deep ceramic sink, dishwasher, microwave, fridge/freezer, table and seating for 10. Laundry room with washing machine and drying rack. Cloakroom. Cloakroom with WC and hand washbasin. Under floor heating on ground floor.